Members Annual Barbecue & Hike. We will have our BBQ this year at Coyote Lake Natural Area with permission from the Nature Conservancy who manage the property. For those that want a lighter, shorter hike of no more than 5km there will be a hike lead by the lake before lunch. For those than want more adventure, we will also do about a 5km hike along the nearby Geneese Fossil Trail. The usual trail leading to the fossil bed has a lot of river bank sludge covering over the rocks and with the recent rains the access is blocked to look further. However a higher trail will be explored that comes down to the river on the other side of the creek where the riverbed is. At the very least we will have some great river vistas! Moderately rolling upland incised by two creeks; adjacent to North Saskatchewan River; aspen-dominated forest with white spruce, balsam poplar & paper birch present; dense understory; key wildlife area (white-tailed deer, mule deer & moose). 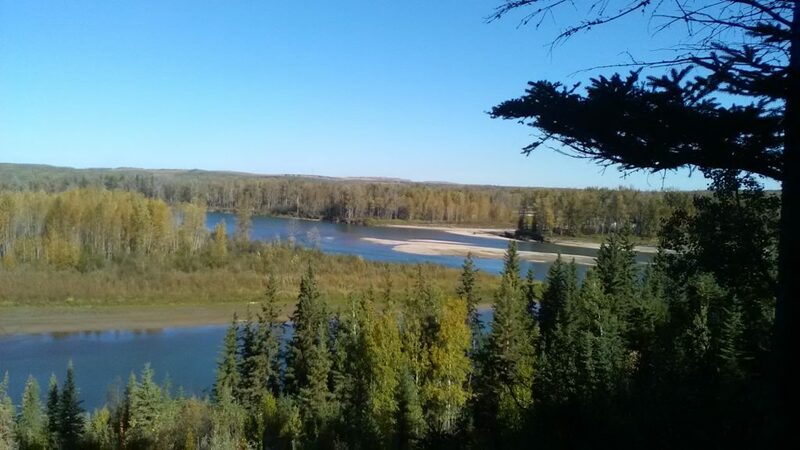 Genesee Natural Area (1.79 km2) protects a site along the North Saskatchewan River that contains some of the world’s best-preserved Late Upper Cretaceous plant fossils. Please RSVP to Karen at Karen B. if you are attending by Saturday September 23rd at the latest. This year instead of a sit around the fire, we will lunch by Coyote Lake. Lunch menu: Bison smokies, salad, dessert, coffee – more details to be updated here. For sign up or questions contact Karen at the email above. We will meet at 8:45AM to sign up and car pool from the meeting point which is to be emailed to participants once you sign up . Passengers are asked to contribute $7 towards gas for your driver. Anyone commuting on their own can let me know. Anyone wanting to volunteer to help please also let me know.